Sailor Moon is hitting its 20th anniversary in 2011 and to help you get ready for the special year, the DVD collection will be reissued with new price and new package on December 11, 2009. A special event titled "GO! GO! 20th ANNIVERSARY" is to be held, attended by the voice actresses of the five Sailor Senshi(Sailor Scouts). 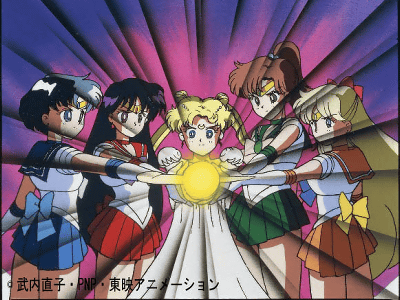 Sailor Moon, the popular anime based on the manga by Naoko Takeuchi has started airing in 1992. It was originally planned to run for only six months, but the great reception prompted continuation and in the end it ran for five years, 200 episodes in all. Toei Video is to release all the five anime seasons (Sailor Moon, Sailor Moon R, Sailor Moon S, Sailor Moon Supers and Sailor Stars) with new price and new package design under the label "GO！GO！20th ANNIVERSARY" starting from December 11, 2009. A special promotional event will be held on December 6(Sun) at UDX THEATER, Akihabara featuring the voice actresses who performed the five heroines of the series: Kotono Mitsuishi of Sailor Moon, Aya Hisakawa of Sailor Mercury, Michie Tomizawa of Sailor Mars, Emi Shinohara of Sailor Jupiter and Rika Fukami of Sailor Venus. Anime song singer HIMEKA(Catherine St-Onge) will also make an appearance and the "Best Episode" of Sailor Moon voted by fans will be screened. The special event is admission free but it's expected to attract capacity audience. You can win a special invitation ticket by pre-ordering "Bishojo Senshi Sailor Moon DVD-COLLECTION Vol.1" via Toei Video Online Shop by November 3. ANIMAX will also giveaway some tickets. The first two volumes of "Bishojo Senshi Sailor Moon DVD-COLLECTION" will be released on December 11, 2009 for 12,600 yen (about $138) each. The two volumes together will cover the whole 46 episodes of the first season (1,112 min). 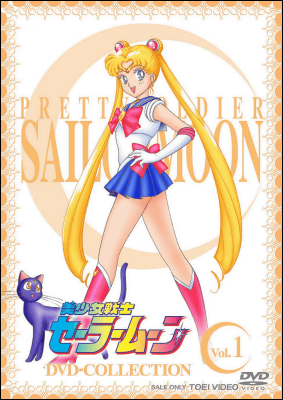 The sleeve of Vol.1 features Sailor Moon. 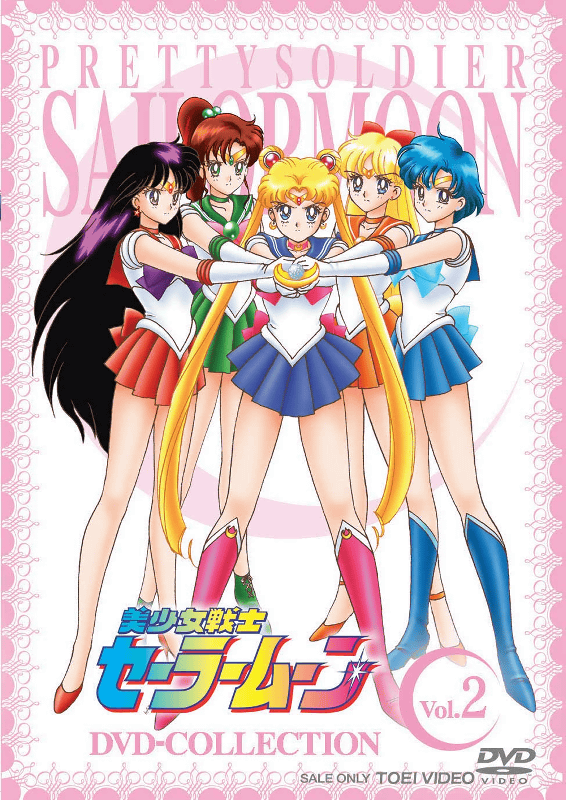 Vol.2 features the five Sailor Senshi. The second season (Sailor Moon R) will be released in Spring, 2010 and the whole collection of five seasons can be completed by January 2011 with the release of the last volume of Sailor Stars, so you can revise the lengthy series one by one and gradually get ready to embrace the anniversary year.